Business Insider summarised a study by the Australian Housing and Urban Research Institute which shows the trend and the average time taken to build houses. Interestingly the time it takes to build a house in Australia has been gradually increasing and it now takes an average 10 months instead of the 6 months in the 1990s. And, not surprisingly (because of our changing demographics), the type of dwelling we are building is changing. At the same time there has been a decline in quarterly completions of houses to 25,000 from 27,000. 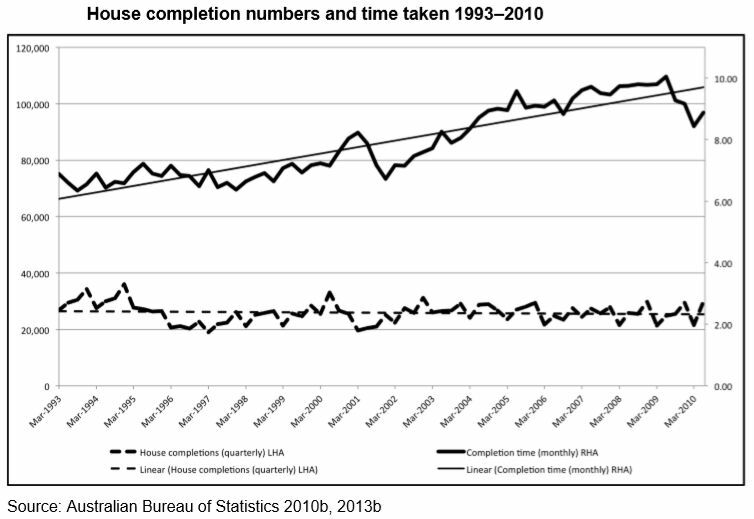 And the average completion time increased from six to ten months despite the fact that fewer houses were built. One factor that helps to explain this increase in time is the increase in house size. People want more bedrooms and more bathrooms than they did 20 years ago. In the good times builders take on as many contracts as they can. This means, given that a builder can only build so many houses in a year, that completion dates are pushed out. In bad times, with fewer houses being built, the completion time tends to start shrinking. 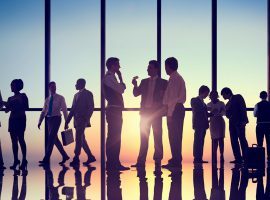 Another factor is the Australian reliance on subcontractors which add complexity to the process of managing a house build. 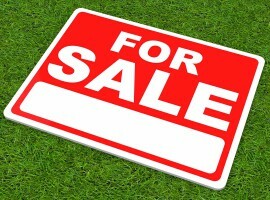 The Housing and Urban Research Institute report says innovation in house building happens on the marketing side. This gives a better range of the types of houses available to be built but also means more subcontracting, leading to growth in the number of contracts per dwelling. “This results in increasing complexity on one hand, and entrenchment of the subcontract mode of production on the other,” says the report, Australian suburban house building: industry organisation, practices and constraints. If there’s a break down in the chain of subcontractors and the scheduling on when they need to be on site, or the availability of materials, then there will be delays. The delays magnify if a builder is working on multiple houses at the same time. 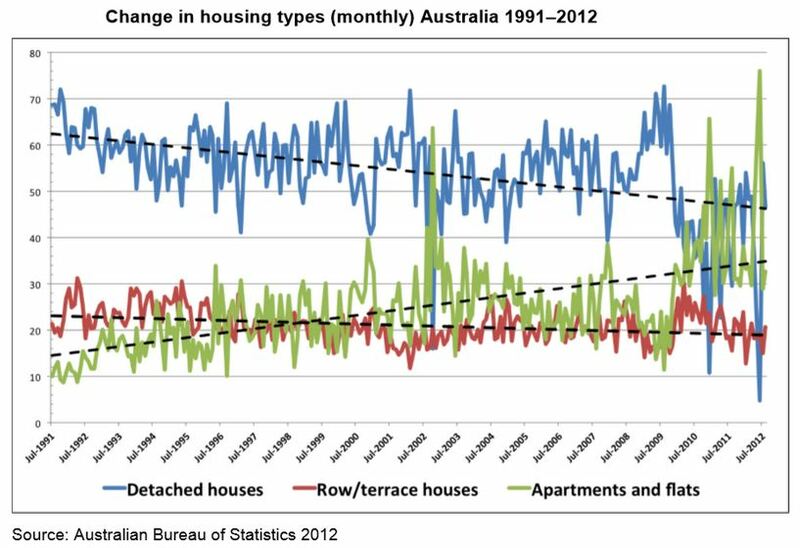 At the same time, the type of housing being built in Australia is changing from the traditional detached house to more flats.